Presented by the Cruising Club of America with support from the Yacht Racing Association of Long Island Sound and hosted by the Gaelic-American Club in Fairfield, Connecticut on Wednesday, May 8, this evening includes a presentation that invites you aboard, dispels myths, and offers robust discussion of past Newport Bermuda Races. Veterans of the 635-nautical mile offshore “Thrash to the Onion Patch” will present both the history and current challenges of this 114-year-old race, the next edition of which starts June 19, 2020. Imagine yourself at the helm of one of the 170-plus boats heading over the continental shelf, across the Gulf Stream, and making landfall in the island paradise of Bermuda. 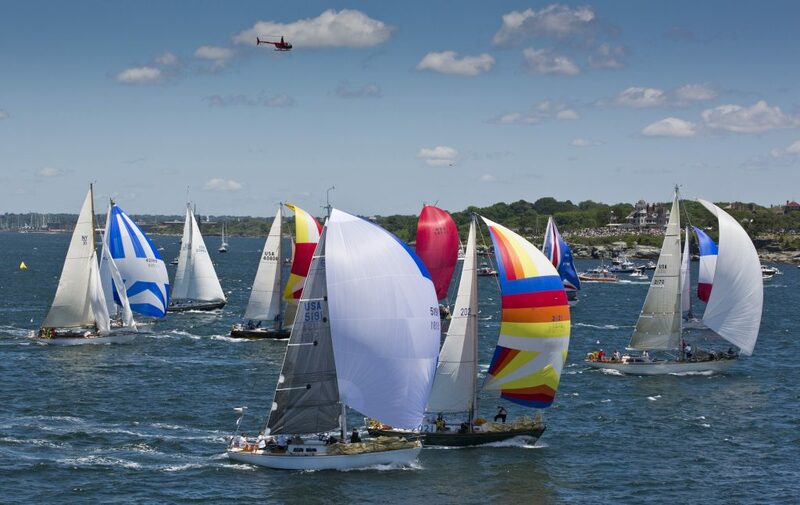 Guest Speaker W. Frank Bohlen, Professor Emeritus of Marine Sciences at UConn and a veteran of 18 Newport Bermuda Races, will give a presentation authored by Newport Bermuda Race Historian John Rousmaniere covering all aspects of the race. This presentation is for veteran skippers, interested crew and anyone simply interested in ocean racing, and it’s open to the public. The presentation begins at 7:00 pm, and a Q&A session and social hour will follow. A cash bar will be available. Admission is free, but the organizers expect a big crowd so please RSVP to the YRALIS at 516-767-9240 or office@yralis.org. For additional information, contact YRALIS Seminars Czar Cliff Crowley at 203-550-4488 or crowley.cliff@gmail.com. The Gaelic-American Club is located at 74 Beach Road in Fairfield, CT and their phone number is 203-254-0673. Editor’s note: The GAC is an excellent venue where the craic is always good!